The Report recommended that the existing proposal to make the majority of journals available for free to walk-in users at public libraries throughout the UK should be supported and pursued vigorously. I’m completely, completely baffled by this. The idea that people should get in a car and drive to a special magic building in order to read papers that their own computers are perfectly capable of downloading is so utterly wrong-headed I struggle to find words for it. It’s a nineteenth-century solution to a twentieth-century problem. In 2013. And what were they smoking at the time? I can tell you now that the take-up for this misbegotten initiative will be zero. Because although it’s a painful waste of time to negotiate the paywalls erected by those corporations we laughably call “publishers”, this “solution” will be more of a waste of time still. (Not to mention a waste of petrol). I can only assume that was always the intention of the barrier-based publishers on the Finch committee that came up with this initiative: to deliver a stillborn access initiative that they can point to and say “See, no-one wants open access”. Meanwhile, everyone will be over on Twitter using #icanhazpdf and other such 21st-century workarounds. Want to publish for free in PeerJ? If you have colleagues who would like to publish at PeerJ, then we want to give them the opportunity to try us out for free. Therefore, as a Published PeerJ Author, we are providing you with 5 unique ‘Referral Codes’ (which expire on March 1st) to distribute to your colleagues. Each code entitles the recipient to an entirely FREE PeerJ publication. They simply need to quote your referral code in the “Notes to Staff” field, when they submit to PeerJ, and as a result they will be able to publish that article for free (assuming it passes peer-review). Please disseminate these codes to colleagues who you feel will use them, but please make sure that they realize that this code is only valid for submissions made before March 1st, 2014. Note that this is alongside the current promo wherein, if you post a preprint to PeerJ PrePrints (which is a smashing way of getting fast feedback, or at least it was for us), that manuscript can be published in PeerJ for free, as long as it is formally submitted before January 1, 2014. So if you can get the lead out before the end of the year and don’t have an allergy to fast feedback, you don’t actually need one of these codes. So. If you’re not a PeerJ member but you have a manuscript that you’d like to send to PeerJ before the first of next March, let us know and we’ll hook you up with a referral code. If you’re fairly sure you will use one but aren’t ready to ship yet, let me know and I’ll set one aside for you, with the proviso that I can give it away if we’re getting close to the deadline and you’re not realistically going to make it. If we get more takers than codes, we’ll figure out some fair way of choosing who gets a code, probably randomly. I will be strongly biased toward people without big paychecks* or institutional support, like grad students and postdocs. (If you’re an undergrad, you can already publish in PeerJ for free, at least for the duration of the pilot program.) So if you’re a grad student or postdoc with a serious plan to get published, speak up and you’ll go to the head of the line. So if you let us know why getting a code would benefit you, you’re more likely to get one. * I know in academia none of us think we have big paychecks, but compared to most grad students and postdocs, those of us with steady full-time employment are living the dream. I’m trying to reach the folks for whom the $99 lifetime membership fee would be a genuine impediment. As is apparently the usual thing now when I’m writing about PeerJ and don’t have any images of my own queued up, I’ve borrowed images from Brant Bassam’s astoundingly cool BrantWorks.com to spice up this post. Explicit permission to reproduce the images with credit can be found on this page, which is coincidentally where these images themselves are from. Get on over there and prepare to lose some time looking at sweet stuff. Update! Five more Golden Tickets available! As noted in the comment below, Heinrich Mallison also has five PeerJ vouchers to distribute to deserving causes. So if Matt and I run out, the options are still open. Feel free to contact Heinrich directly or to go through us if you prefer. Well, folks, I’m back from Berlin. And what an extraordinary couple of days it was. There were in fact three days of open-access talks, though I was only able to be there for the first two. Day one was the satellite conference, aimed at early-career researchers; days two and three were the much larger main conference, attended mostly by heavy hitters: senior librarians, university administrators, a sprinkling of politicians, and of course some researchers and publishers. It was my privilege to speak at both satellite and main conferences. This post is really just to advertise those talks. Why am I doing this? Because I’m convinced that they’re by far the most important talks I’ve ever given. 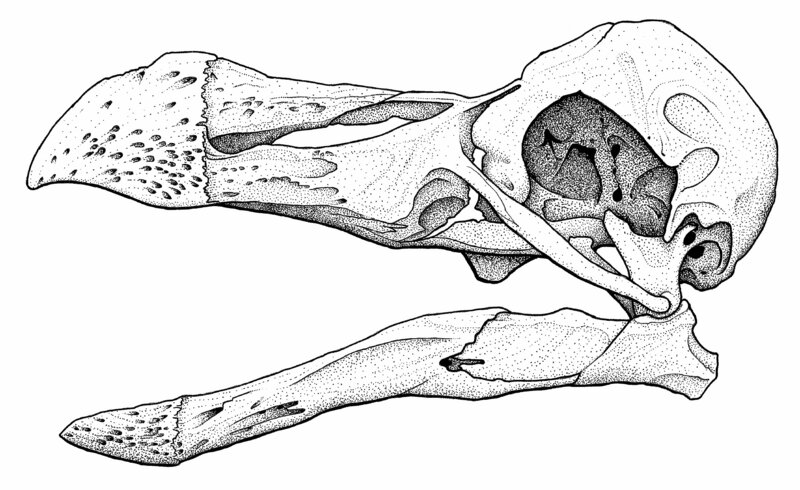 It’s great fun to talk about Barosaurus at SVPCA, or about intervertebral cartilage in Bonn, but if someone says to me that that work doesn’t really matter in a cosmic sense, I’ll be hard put to find reasons why they’re wrong. But open access has profound and immediate consequences for health, industry, education, third-world development, and more fields than I can list. So here are the talks. Along the way, we talked about the open-access citation advantage, the (mostly non-) problem of article processing charges, the complete non-problem of “predatory open-access publishers”, the acceptable length of Green-OA embargoes (zero), the SV-POW! decision tree, publishers’ lack of control over what you do before you sign the copyright transfer, the inability of impact factor to predict citation count (post to come), the childishness of evaluating individuals by journal rank, and the knotty problem of who should take responsibility for fixing our current broken system. I actually don’t know whether it’s going to be possible for people who missed the live stream to watch this talk. That was the plan, but I heard a rumour that the recording went wrong. If a video does becomes available, I’ll let you know. In the mean time, you can at least get the slides [PowerPoint or exported PDF]. They are CC By. 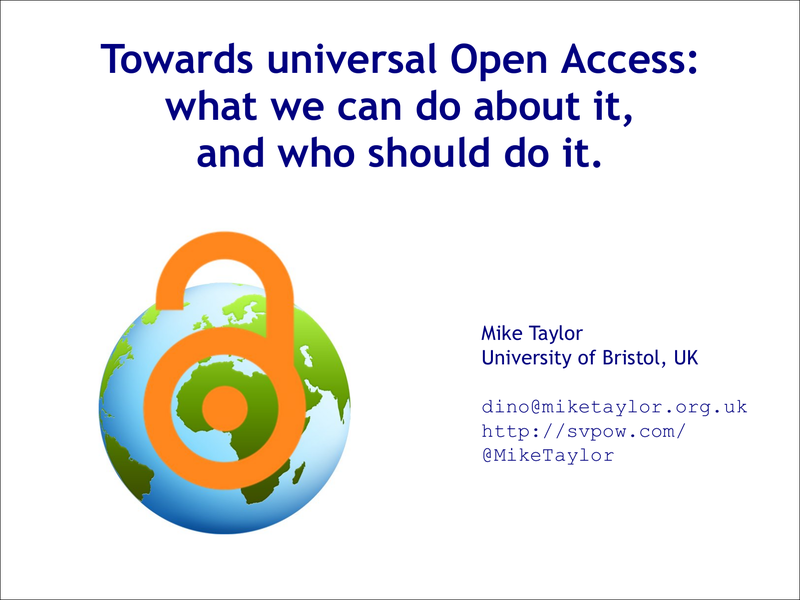 In the main conference, I used my slot to remind us all that Open Access is about sharing, unity and sanity, not about money. Because I was addressing a more senior audience that necessarily has to think more about practicalities, finances, ways and means, I wanted to take the opportunity to remember that those are not the issues that gave birth to Open Access; rather, it started out as an unabashedly idealistic movement (as reading any of the three great declarations will show you). I don’t want us to walk away from that high-ground and be reduced to thinking only about practicalities, important though they are. Publishers and their associates often say — rightly, as far as they go — that “Scientific and technical publishing is a business“. But no-one goes into it because of they money they can make. Everyone involved in doing or publishing research surely got into that business because their eyes were on a higher prize. So the burden of my talk was that publishing research is a mission; that far from “getting rid of the idealists“, we should cherish them; and that we should encourage rather than curb our own idealistic tendencies. Perhaps the most satisfying part of the whole conference was giving this talk — you might almost call it a preach — and watching the nodding agreement spread across the audience. Folks, we’re about a great work. Let’s not forget that. Let’s not sell ourselves short. The main session was unfortunately not livecast, and to the best of my knowledge, there were never any plans to record it. But as with my satellite talk, you can at least get the slides [PowerPoint or exported PDF]. They are CC By. Since I made the slides available for download immediately after the talks (three days ago for the satellite meeting, two days ago for the main meeting), I’ve been surprised and delighted to see the download numbers — currently standing at 641 for the satallite talk and 939 for the main talk. The tweet announcing the main talk has also been retweeted 34 times and favourited 26 times. I hope that shows that I struck a chord. I have an informal invitation to deliver the main-session talk next year to an Italian university, which I’ll be pleased to do once we’re able to sort out the details. I’m not sure whether more invitations are likely to be forthcoming, but I’ll mention them here if they do materialise. I’d like to finish by thanking my employer, Index Data. As most of you know, I am not a career academic: I work on sauropods in my spare time (and advocate open access in my spare spare time), earning my living as a computer programmer. By the time the invitations to speak at the Berlin conferences came in, I’d already booked up my annual leave allowance, so I had to ask for permission to take unpaid days for the conference. Instead, Index Data gave me two more paid days — because they, like me, believe in the importance of open access. This is all the more laudable since, if anything, universal open access will harm our business. A significant part of what we build is authentication mechanisms to allow people (legitimate) access to paywalled resources. Once everything is open, no-one will need to pay us to do that. It’s greatly to Index Data’s credit that, despite this, they want to help us push on towards a goal that will benefit society as a whole. Yesterday I was at the Berlin 11 satellite conference for students and early-career researchers. It was a privilege to be part of a stellar line-up of speakers, including the likes of SPARC’s Heather Joseph, PLOS’s Cameron Neylon, and eLIFE’s Mark Patterson. But even more than these, there were two people who impressed me so much that I had to give in to my fannish tendencies and have photos taken with them. Here they are. 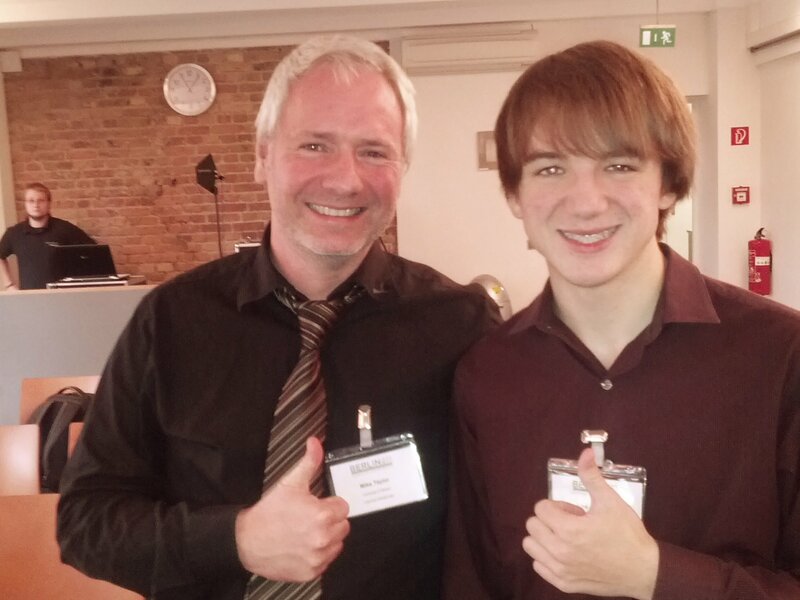 This is Jack Andraka, who at the age of fifteen invented a new test for pancreatic cancer that is 168 times faster, 1/26000 as expensive and 400 times more sensitive than the current diagnostic tests, and only takes five minutes to run. Of course he’s grown up a bit since then — he’s sixteen now. Someone on Twitter noted that every single photo of Jack seems to show him, and the people he’s with, in thumbs-up pose. It’s true: and that is his infectious positivity at work. It’s energising as well as inspiring to be around him. This is Bernard Rentier, who is rector of the University of Liège. To put it bluntly, he is the boss of the whole darned university — an academic of the very senior variety that I never meet; and of the vintage that, to put it kindly, can have a tendency to be rather conservative in approach, and cautious about open access. With Bernard, not a bit of it. He has instituted a superb open-access policy at Liège — one that is now being taken up as the model for the whole of Belgium. Whenever members of the Liège faculty apply for anything — office space, promotions, grants, tenure — their case is evaluated by taking into account only publications that have been deposited in the university’s open-access repository, ORBi. Needless to say, the compliance rate is superb — essentially 100% since the policy came in. As a result, Liège’s work is more widely used, cited, reused, replicated, rebutted and generally put to work. The world benefits, and the university benefits. Bernard is a spectacular example of someone in a position of great power using that power for good. Meanwhile, at the other end of scale, Jack is someone who — one would have thought — had no power at all. But in part because of work made available through the influence of people like Bernard, it turned out he had the power to make a medical breakthrough. I came away from the satellite meeting very excited — in fact, by nearly all the presentations and discussions, but most especially by the range represented by Jack and Bernard. 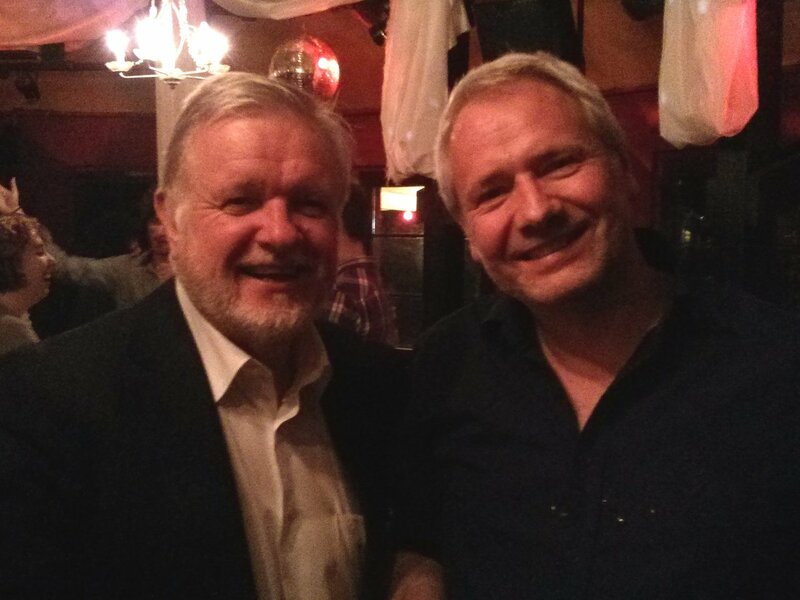 People at both ends of their careers; both of them not only promoting open access, but also doing wonderful things with it. There’s no case against open access, and there never has been. But shifting the inertia of long-established traditions and protocols requires enormous activation energy. With advocates like Jack and Bernard, we’re generating that energy. 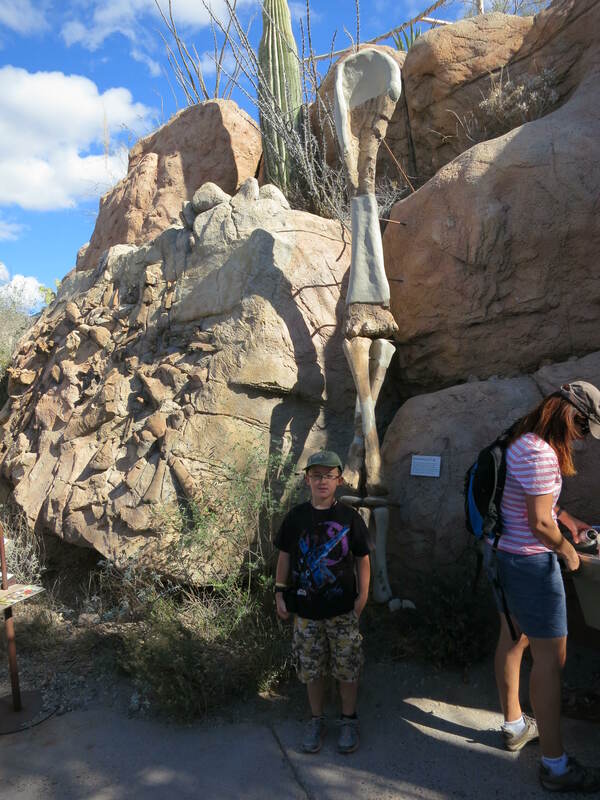 In lieu of the sauropod neck cartilage post that I will get around to writing someday, here are some photos of animals London and I saw at the Arizona-Sonora Desert Museum this Sunday morning. 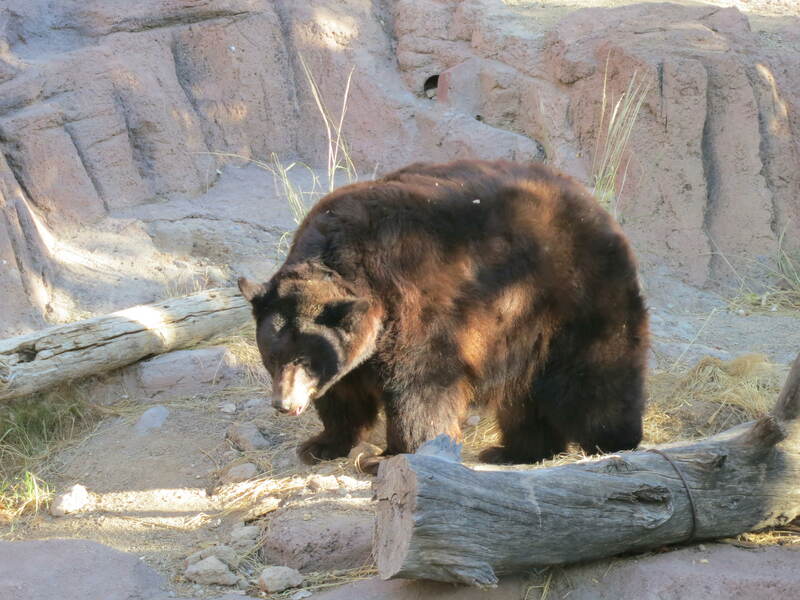 Black bear, Ursus americanus, which taxon has also graced these pages (and my desk) with its mortal remains. 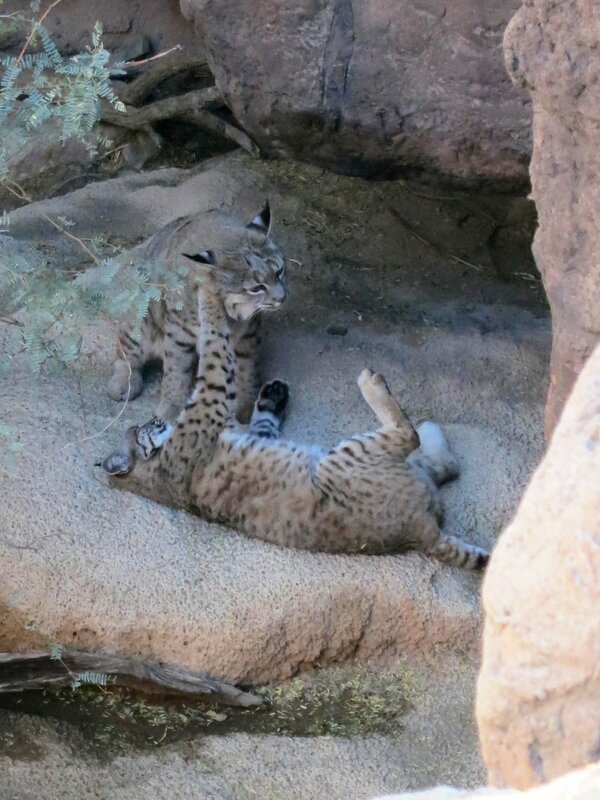 Bobcats, Lynx rufus. These two play-fought for a while. Watching them was the highlight of the morning, and maybe the highlight of the whole trip. 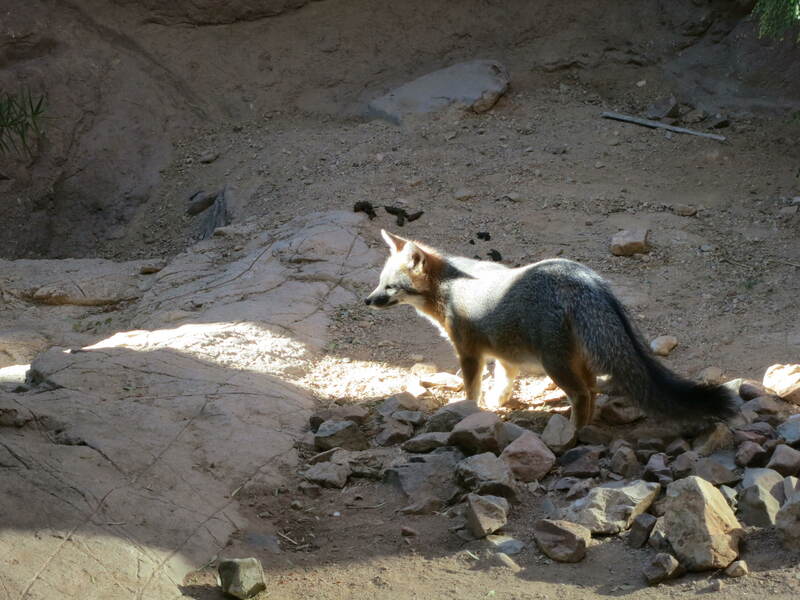 Gray fox, Urocyon cinereoargenteus. This guy just paused here for a moment, but I am super happy with the chiaroscuro effect. 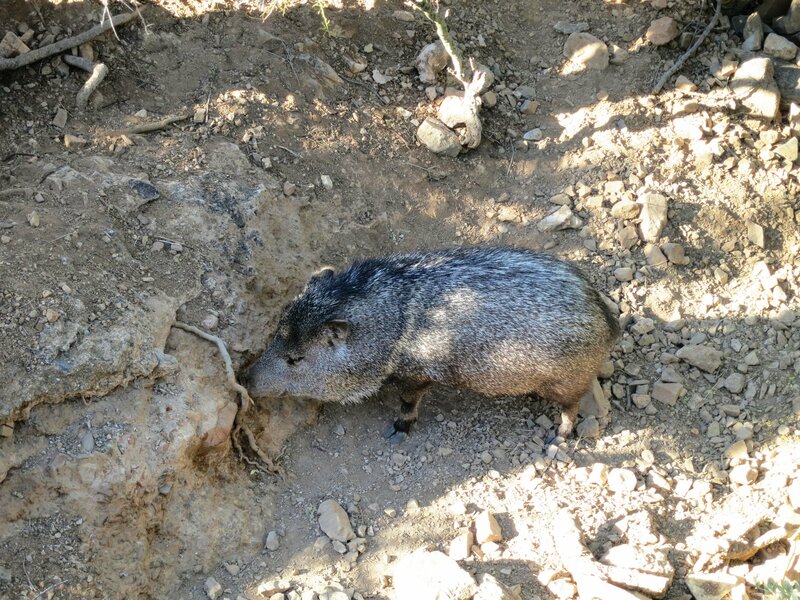 Javelina, Pecari tajacu. Sunday evening we saw a couple of wild javelinas alongside one of the roads on the west side of Tucson–only the second time I’ve seen them in the wild. 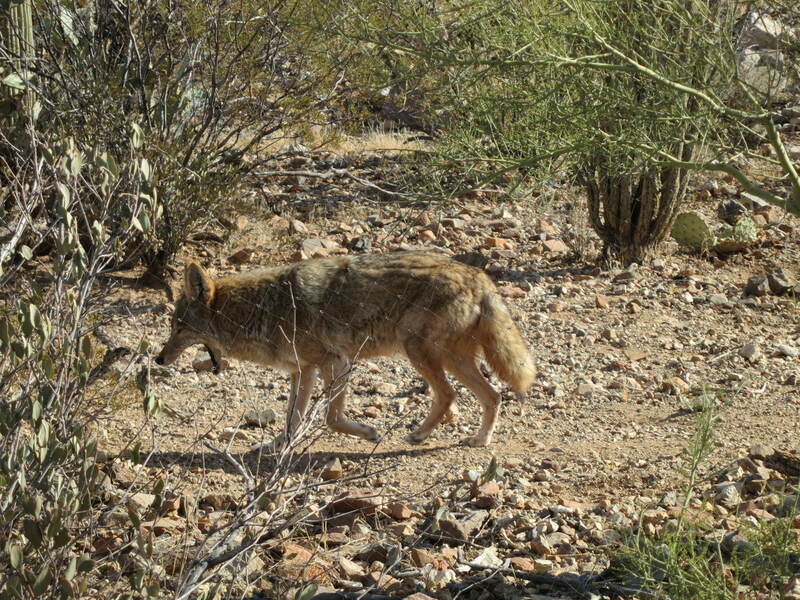 Coyote, Canis latrans. Now these guys I see all the time–on my own street, even, some mornings. Great Horned Owl, Bubo virginianus. This one flew right over our heads during the Raptor Free Flight demonstration. I tried to get photos of it on the wing but it was too darned fast. 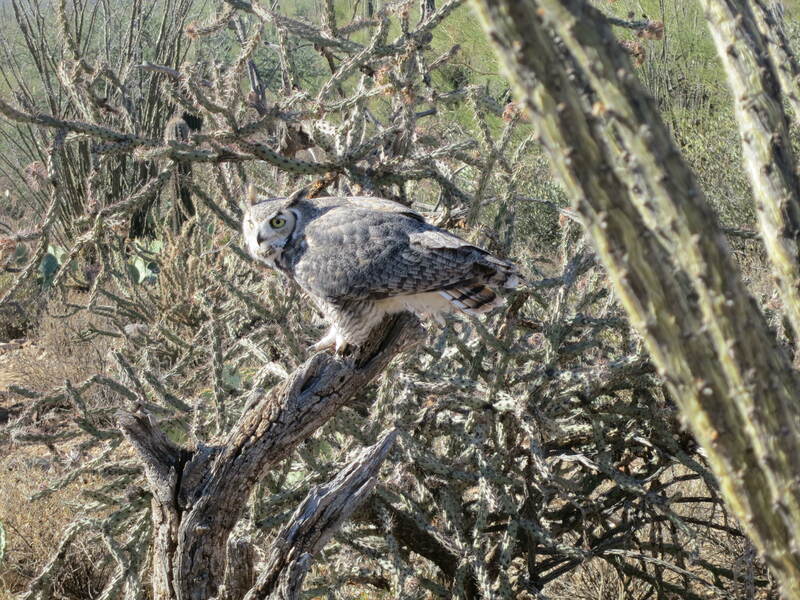 Most impressive: however big they look in pictures, they look a heck of a lot bigger–and scarier–swooping two feet over your head. And, okay, here’s a sauropod, or part of a sauropod: a mounted cast of the forelimb of Sonorasaurus thompsoni. Nine-year-old Homo sapiens for scale. So, pretty outstanding place, and I highly recommend going. 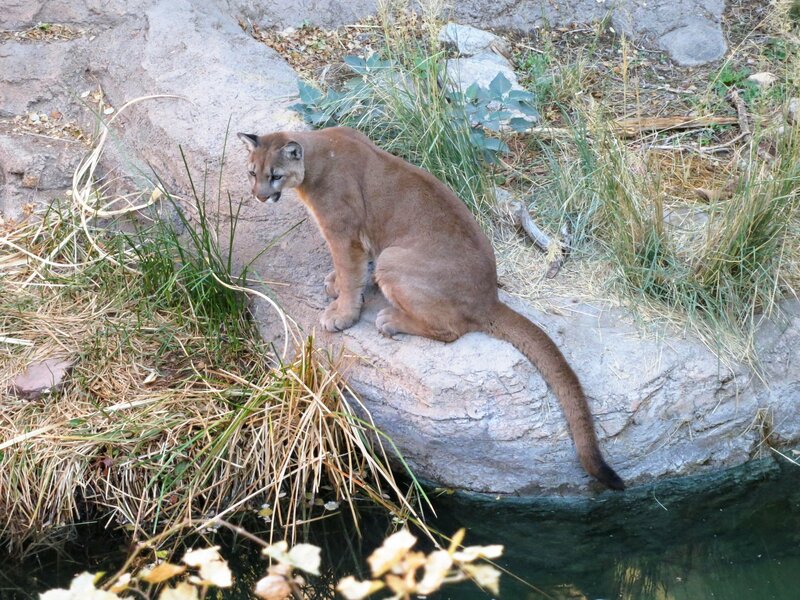 But, like every other printed or digital source I found, I recommend getting there first thing in the morning to see all the animals while they are out and about. 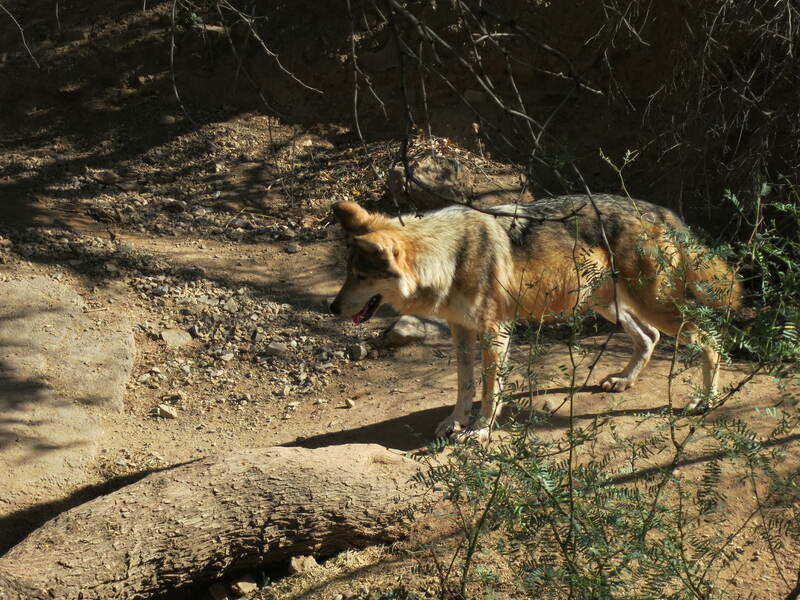 London and I walked out of the big “critter loops” at 10:30 and the Mexican wolf was the only animal still roaming around. Just a quick post to let you know that I will be presenting two different talks at the Berlin 11 open access conference on Monday and Tuesday next week. The first one is in the satellite conference for early-career-researchers, where I’ll be talking about “Towards universal Open Access: what we can do about it, and who should do it.” There’s an exciting line-up of much more interesting speakers than me, including schoolboy genius Jack Andraka, SPARC director Heather Joseph, and visionary OA advocate Cameron Neylon. My second talk is in the main conference, and will argue that “Open Access is about sharing, unity and sanity, not about money.” If anything, the line-up for the main conference is even more intimidating, with ministers from three European governments including our own David Willetts. I don’t know whether they’ll be sticking around for the parts of the conference when they’re not speaking, but if they are then I hope I can plant a seed. I heard just in the last half-hour that the Satellite Conference will be broadcast live on the conference website. Please share this link! For anyone tweeting, the conference hashtag is #berlin11. No word yet on broadcast of the main conference. I’ll be posting the slides for both talks after the conference, and perhaps turning the main-session one into a paper. It’s a strange time of year for me. Teaching and SVP are both behind me, my tenure dossier is in (I’ll find out how that goes next April, probably), and for the first time in a while, I’m not shepherding any pressing manuscripts through the valley of potential rejection. Urgency has dissipated. Flights of fancy are very in right now. and, to be honest, a very generous helping of artistic license. I don’t know from bird skulls so I may have the basioccipital wired to the nasals or some other godawful assault on sanity. I did it for fun, not for science. If you want dodo science, I have mixed great news. Crappily–and futilely–enough, Owen’s descriptive papers on the dodo are paywalled at Transactions of the Zoological Society of London. (Seriously, guys? After 140 years you still haven’t made your nut off those papers?) BUT you can get them for free from a couple of other places–see Sarah Werning’s comment below. And happily Strickland and Melville (1848) is available for free from the Internet Archive, and in a host of formats. I am sorely tempted to have a hardcopy printed through Lulu. For more on the dodo side of the Aves 3D project underway at the Claessens lab, of which the Biedlingmaier et al. poster is early fruit, check out the news stories here, here, and here, and keep your fingers firmly crossed for the coming year. I can say no more for now. If, like me, you are just a dodo fanperson, these videos with Adam Savage make interesting viewing: original, sequel. Röck döts inspired by a few hours of stippling, and copied and pasted, appropriately, from False Machine. Biedlingmaier, A., Leavitt, J., Monfette, G., Allan, D.G., and Claessens, L.P.A.M. 2013. 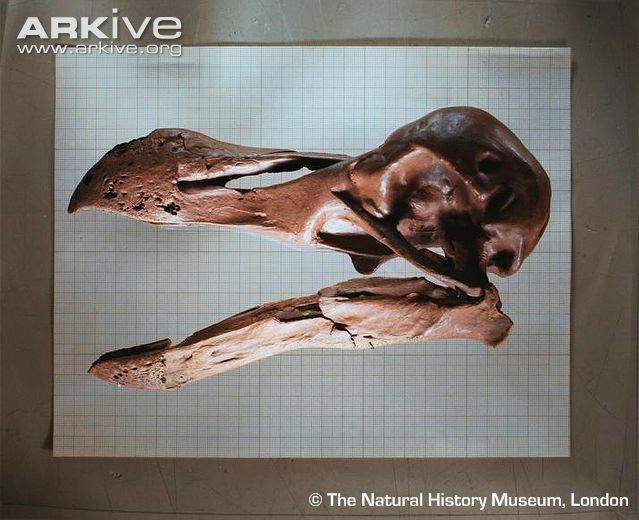 Digital surface scanning and analysis of a cave specimen of the dodo (Raphus cucullatus). Journal of Vertebrate Paleontology, Program and Abstracts 2013, p. 87. Strickland, H.E., and Melville, A.G. 1848. 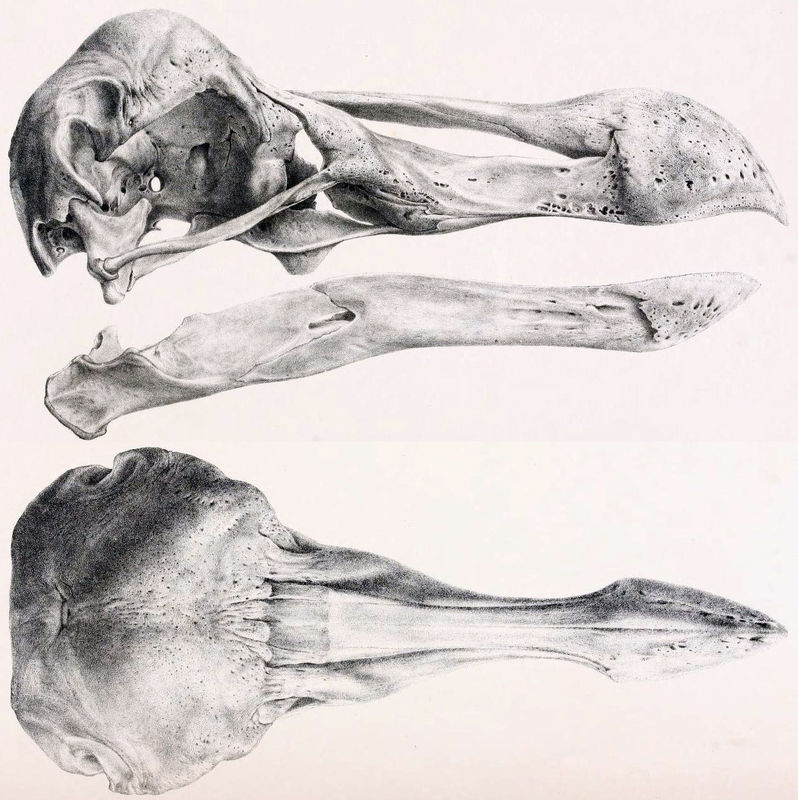 The Dodo and Its Kindred; or the History, Affinities, and Osteology of the Dodo, Solitaire, and Other Extinct Birds of the Islands Mauritius, Rodriguez, and Bourbon. London: Reeve, Benham and Reeve.